An image has been doing the rounds that shows the distortions introduced when reducing a 3D earth to a 2D representation. Like all those huge maps we used to have on our walls with pins in them to show where you’ve travelled. 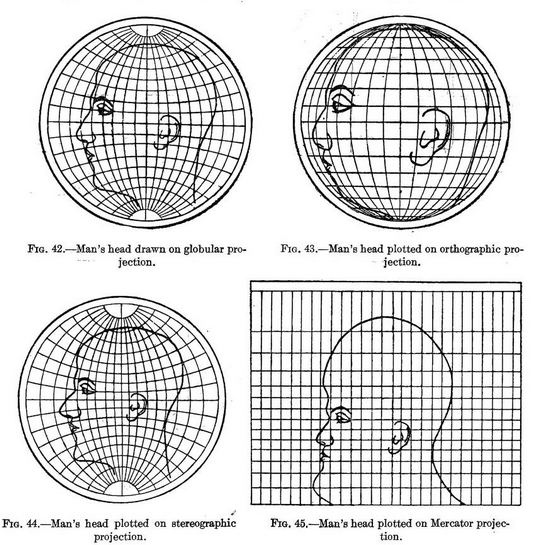 The drawings used in the original work show the distortions as applied to a human head, something we are familiar with.